Please click on box or here to enlarge diagram. To view again, refresh browser. 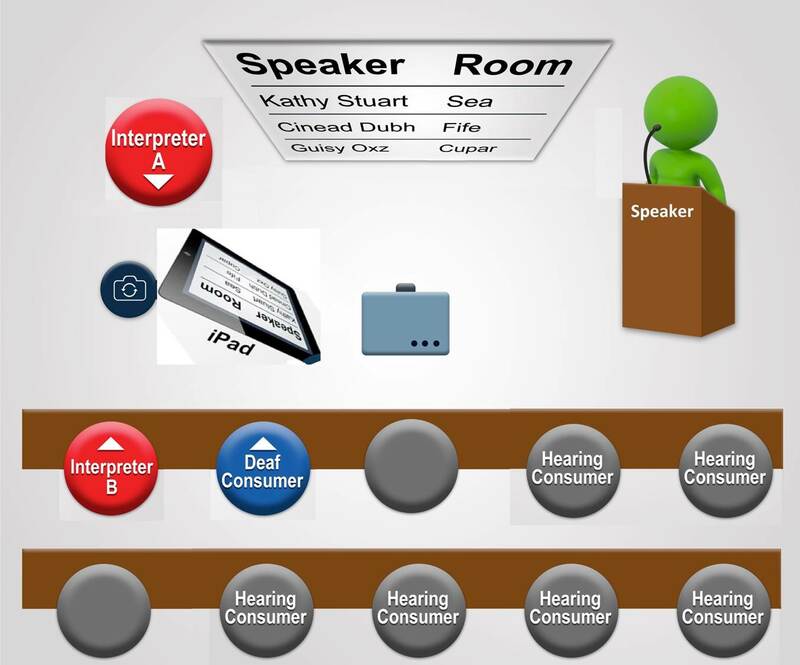 Please click on box or here to open slide presentation (pdf; 23 slides). Enlarged diagram is on slide 1. Mission: To innovate and provide breakthrough products and services that support efficiency, productivity, health, safety, communication and enjoyment in life's endeavors - worldwide. History: Steve Frank founded Clear View Innovations (CVI) in 1998. 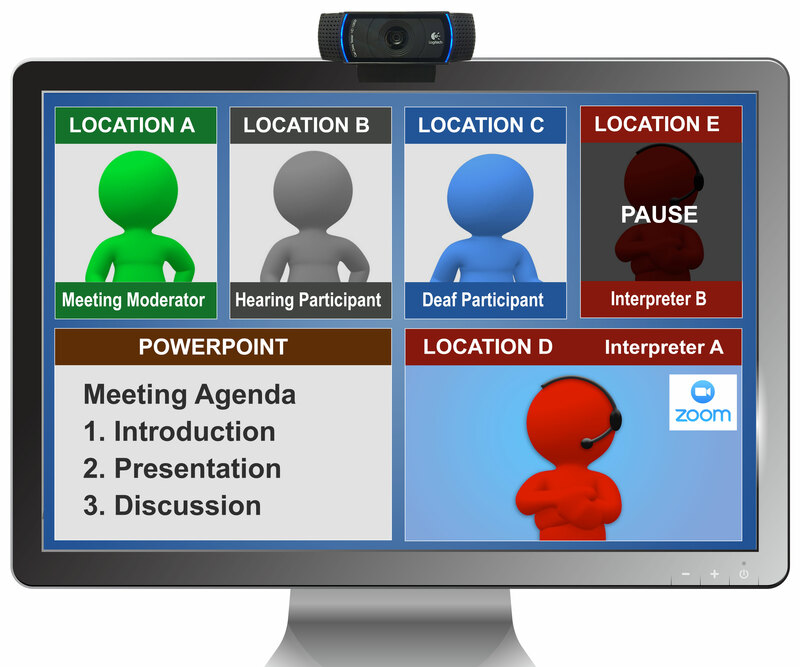 CVI's first product was the "Interpreter Mirror" -- a professional tool for sign language interpreters. 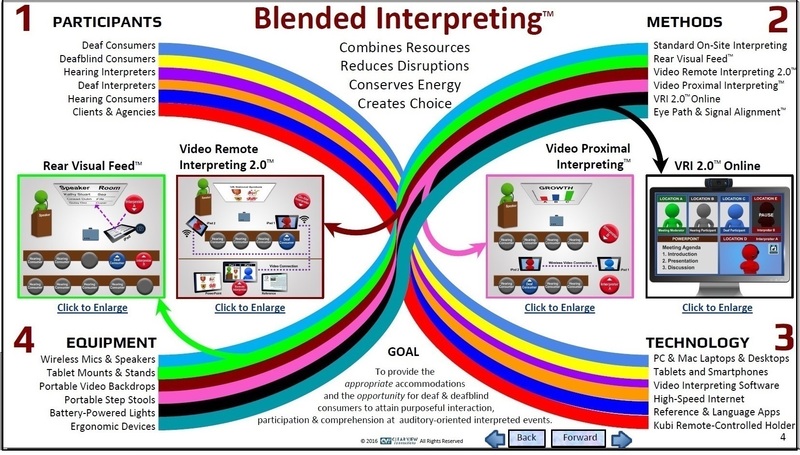 Now, in the 21st century the function of the Interpreter Mirror is being performed by the "Video Visual Feed." Profile: CVI has created and introduced over 20 new products and services that mainstream consumer, business, educational, governmental, corporate and industrial organizations find unique and critical for their operations. 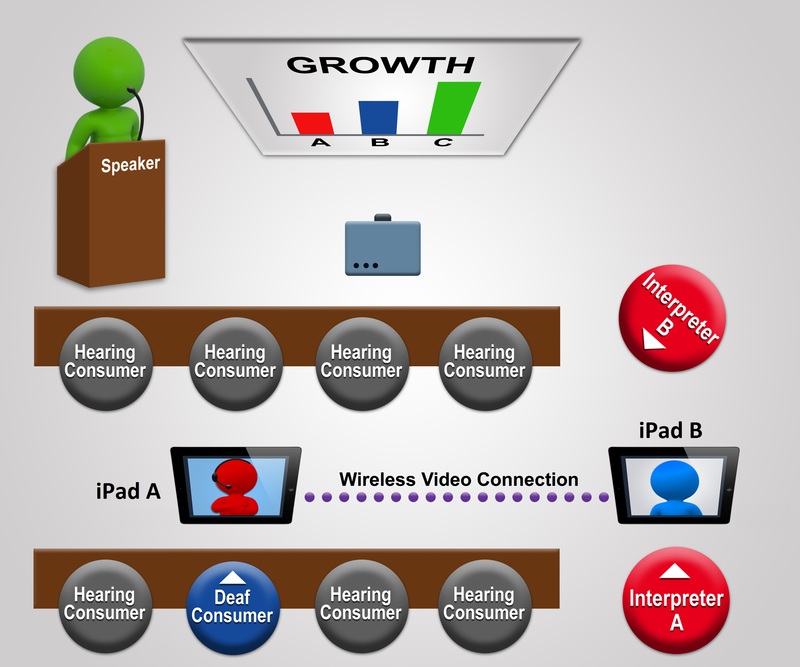 CVI's expertise is in the areas of device apparatus and interpreting.